Nicolas Sarkozy served as the 23rd President of the French Republic (2007 to 2012). Prior to his presidency, Sarkozy served as Minister of State, Minister of the Interior and Spatial Planning and Minister of the Economy, Finance and Industry. 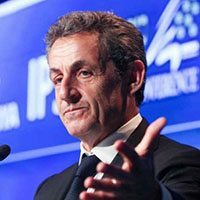 A visionary leader who has dedicated his life to public service, Sarkozy is widely recognized for his hands-on tactics and straightforward approach in dealing with the most critical issues of our time—foreign policy, national security, global economics and immigration. 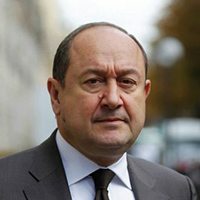 Integral in the international community’s response to Libya’s civil war, he was also involved with brokering an end to the August 2008 conflict between Russia and Georgia and led the European Union’s response in establishing the G20 summits. Pragmatic and decisive, Sarkozy was at the forefront of the response to end the Euro Crisis and directed the bridging of a multi-year gap between the leaders of France and Germany. Sarkozy is the recipient of numerous humanitarian awards and accolades, and the author of several books on politics and the issues facing modern democracies. 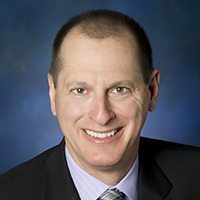 Gary Shapiro is president and CEO of the Consumer Electronics Association (CEA)®, the U.S. trade association representing more than 2,000 consumer electronics companies, which owns and produces the International CES® – The Global Stage for Innovation. He is a member of the Board of Directors of the Northern Virginia Technology Council and the Economic Club of Washington. He sits on the State Department’s Advisory Committee on International Communications and Information Policy. 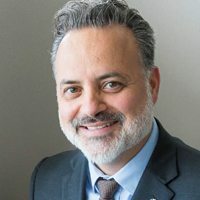 He has served as a member of the Commonwealth of Virginia’s Commission on Information Technology and on the Board of Visitors of George Mason University. 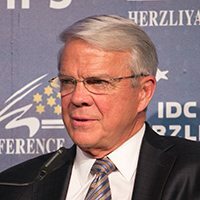 Shapiro also has been recognized by the U.S. Environmental Protection Agency as a “mastermind” for his initiative in helping to create the Industry Cooperative for Ozone Layer Protection (ICOLP). 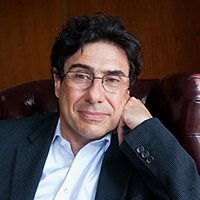 Shapiro authored two of CEA’s New York Times bestsellers “Ninja Innovation: The Ten Killer Strategies of the World’s Most Successful Businesses” (Harper Collins, 2013) and “The Comeback: How Innovation will Restore the American Dream” (Beaufort, 2011). Through these books and television appearances, and as a columnist whose writing appears in publications such as The Wall Street Journal, The New York Times and The Washington Post, Shapiro has helped direct policymakers and business leaders on the importance of innovation in the U.S. economy. 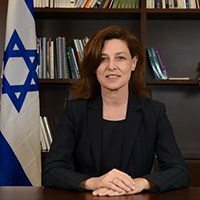 Ziva Eger has been serving as Chief Executive of Foreign Investments and Industrial Cooperation Authority at the Israeli Ministry of Economy and Industry since October 2014. Ms. Eger is a retired IDF Colonel, who received her BA and MA in Economics (with Honors) from Tel Aviv University. In addition, she has an MA in Political Science from Haifa University and the National Security College operated by the IDF. In the two years preceding this position, Ms. Eger acted as Chief of Staff of the Communication and Home Front Defense Ministries, led by Minister Gilad Erdan. She was in charge of promoting comprehensive reforms in the local communication market, and their execution. 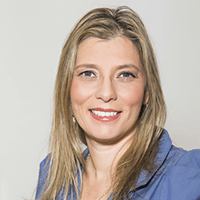 Ms. Eger has long time experience in the Defense industry, having been part of the IDF and the Ministry of Defense for 27 years. During that time, Ms. Eger was a senior director of the Planning, Budget and Control Department in the Directorate for Defense Research and Development (DDR&D – MAFAT). Ms. Eger was also head of Planning, Budget, Economy and Production in the Arrow Program and Space & Satellites Program. She led extensive initiatives and headed negotiations for industrial cooperation procurement, among private industries, defense industries and various government agencies. 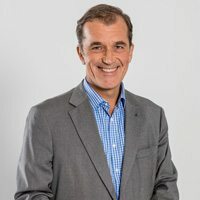 Allan McArtor is Chairman & Chief Executive Officer of Airbus Group, Inc., Mother Company for Airbus Defense & Space, Inc.; Airbus Helicopters, Inc. and Airbus Americas, Inc. for Americas. 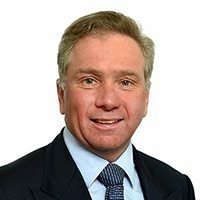 Throughout his career, McArtor has held a series of leadership and senior management positions in the military, civil and government sectors. Before joining Airbus, he was founder, chairman and CEO of Legend Airlines and the Administrator of the FAA. McArtor was a combat fighter pilot in Vietnam from 1968 to 1969, an Associate Professor of Engineering Mechanics at the Air Force Academy, and a pilot with the U.S. Air Force’s Thunderbirds Aerial Demonstration Team. He is a 1964 graduate of the U.S. Air Force Academy and holds a master’s degree from Arizona State University and an honorary doctorate degree from Christian Brothers University in Memphis, Tennessee. 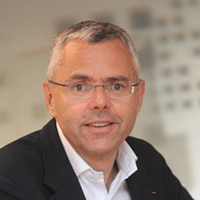 Michel Combes (53) became Chief Executive Officer of Alcatel-Lucent on April 1, 2013, joining the company with more than 20 years of experience in the telecommunications sector, as well as a strong international background. 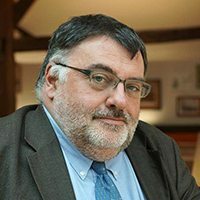 Michel’s career began in 1985 at France Telecom in the US, first in the External Networks Division and then in the Industrial and International Affairs Division. 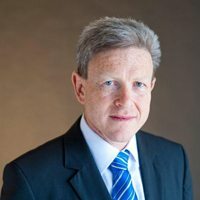 After serving as a technical advisor to the French Minister of Transportation between 1991 and 1995, Michel became Chairman and Chief Executive Officer of the France Telecom subsidiary GlobeCast, from 1996 to 1999. 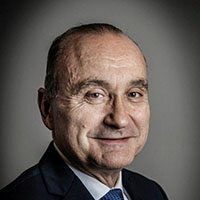 Michel returned to the France Telecom Group in January 2003 as Chief Financial Officer and a member of the company’s Group Strategic Committee. Alongside Thierry Breton, Michel played an important part in the group’s recovery (the ‘15-15-15’ program, a key element of which was a Euro 15 billion debt reduction over three years). As head of strategy he ran the NExt plan, which enabled France Telecom’s transformation into an integrated operator. In 2006; Michel was appointed Chairman and CEO of the French national broadcasting operator, TDF Group. Born in Boulogne-Billancourt, in the western outskirts of Paris, Michel studied at the prestigious École Polytechnique in Paris and at the Parisian telecommunications institute École Nationale Supérieure des Telecommunications. 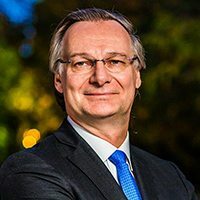 In addition to his position as CEO of Alcatel-Lucent, Michel is also non-executive board member of MTS, Altice and HDL Development. 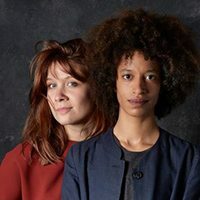 Evelyne Raby fait partie de l’équipe dirigeante de CybelAngel. En tant que COO, elle gère les aspects organisationnels pour soutenir la croissance et le développement de l’entreprise. Elle est diplômée de l’Ecole Centrale Paris. 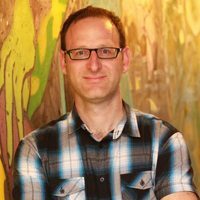 Ofer Limon is the co-founder and CEO of 6over6 vision, bringing GlassesOn application which democratizes access to vision care. Dr. Limon has a PhD in Electro-optics and had previously led the R&D at Xceed Imaging, another vision care startup, where he developed multifocal contact lenses and multifocal intraocular lenses. GlassesOn delivers all essential optometric tools right to one’s smartphone. With patented technologies, through a manipulation and perception of light, everyone can now accurately measure the optical parameters of their glasses for farsighted and nearsighted vision using nothing but a mobile application, creating all new opportunities to buy glasses online in a fashion-centric, spontaneous experience. 6over6 is backed by TriVentures and Alumot. 15+ years of road warrior leading successful sales leadership as both an individual contributor and managing sales teams. My last tenure before joining team8/Claroty was Head of Business Development, EMEA Region for Radware (RDWR). Before that I was the co-founder of Bidspirit, a SAAS platform for managing auction houses and online bids. 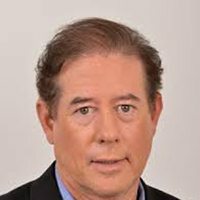 Mark Gazit has over two decades of experience in the high tech industry, with a track record of maximizing revenue, net earnings, and shareholder value for startup, turnaround, and rapid growth global organizations in emerging markets and economies. 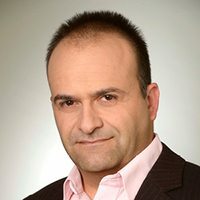 Before joining ThetaRay as CEO, Mr. Gazit served as a General Manager of Nice Cyber & Intelligence Solutions, an autonomous division of Nice Systems Ltd. That provides software and hardware solutions to government agencies worldwide in the areas of Information Intelligence, Cyber and Safe Cities. He transformed this division into a fast growing, profitable revenue generator. 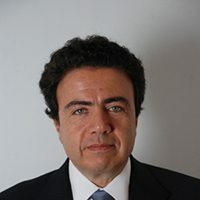 Between 2002 and 2010, Mr. Gazit served as CEO & co‐founder of SkyVision, a global telecommunications company that he took from the start‐up stage to a $100M company serving over 50 countries worldwide and operation centers on three continents. 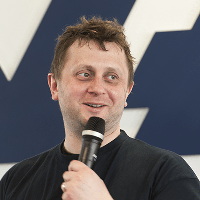 He has also held pivotal roles in leading companies such as Deltathree, NetVision, NetMedia and Widecom. 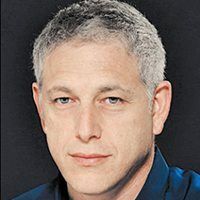 Mr. Gazit studied Computer Science and Mathematics at Hebrew University and Senior Business Management at Tel Aviv University. 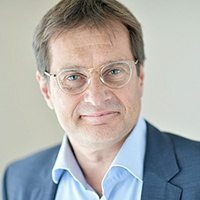 Jérôme Bersay intervient sur des opérations d’acquisitions, de sociétés cotées et non cotées, des contrats commerciaux, ainsi qu’en contentieux, commercial et pénal des affaires, et en arbitrage. Il est diplômé de l’Institut d’Etudes Politiques de Paris (section Economique et Financière) et de l’Université de Paris II Panthéon-Assas (Maîtrise de Droit des Affaires, et Institut de Droit des Affaires). Jérôme Bersay est membre du Barreau de Paris depuis 1992. Il est également membre de l’International Bar Association. 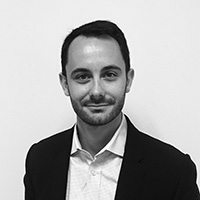 Avant de fonder Bersay & Associés, il a travaillé en qualité d’analyste financier, au sein du Crédit Lyonnais New York, puis en qualité d’avocat, au sein du cabinet d’avocats Salès, Vincent & Associés. Il a été désigné par ses pairs l’un des « Best Lawyers France » 2016 et est régulièrement classé comme l’un des meilleurs praticiens du droit des affaires par les différents annuaires et leaguetables. Jérôme Bersay’s practice focuses on corporate acquisitions, in relation to both listed and unlisted companies, private equity, litigation, including white collar crime, and arbitration. Jérôme Bersay is regularly distinguished among the leading lawyers in the areas of business law and litigation. He has been nominated by his peers as one of the leading practitioners in business law in the 2016 edition of “Best Lawyers”. 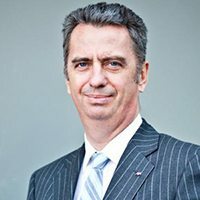 David Martinon is Ambassador for Cyber Diplomacy and the Digital economy since October 2015, and had been the Special Representative for international Negotiations on Information Society and the Digital Economy since April 2013. As such, he is chief negotiator on all cyber issues, including internet governance, cybersecurity, cybercriminality, freedom of expression, intellectual property, and counter-narrative on the internet. From May 2002 to December 2006, he was Diplomatic Adviser to Nicolas Sarkozy at the Ministry of the Interior and the Ministry of the Economy, Finance and Industry. He was appointed Chief of Staff for the 2007 presidential campaign. After the victory (May 2007), he was appointed the Press Secretary and Communications Director to the President of the Republic. David Martinon was then appointed Consul-General of France in Los Angeles, California. He joined the French Mission to the UN in New-York, in August 2012. 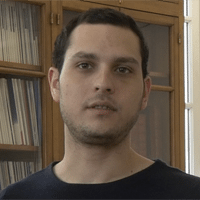 After graduating from the Institut d’Etudes Politiques of Paris (IEP) and with a Master of Economy at Paris-Sorbonne University, he completed his studies at the French National School of Public Administration (ENA). 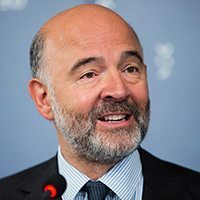 He joined the Ministry of Foreign Affairs and became, from 1998 to 2001, deputy spokesperson of the Ministry and then a desk officer at the European Cooperation Directorate. David Martinon previously taught International Relations at the Institut d’Etudes Politiques of paris and worked in the advertising industry. He got involved in Politics at an early age and notably worked at the office of the Ministry of Defense (1995). David GUEZ is Director of WeHealth by Servier, responsible of eHealth. He was trained as a medical doctor in Paris (France) and as a specialist in cardiology and internal medicine (mainly geriatry). 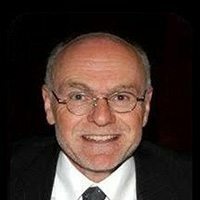 He served as Director of Therapeutic Research responsible for strategy and development in cardiovascular, neuropsychiatry, oncology, rheumatology, endocrinology and metabolic diseases for all medicines and for their life—cycle management ; from 2006-2010 he served as Director of Medical Innovation and R&D Coordination (Strategic Planning, project and portfolio management). He also participates in several R&D processes as a member of the Company and R&D Boards , Project Management Committees and Strategic Transverse Initiatives. He is mainly interested with management of innovation, new healthcare solutions, intrapreneurship, change and leadership. Since the last 2 years he is leading development of new healthcare solutions in partnership with startups, integrating open innovation and new business models. The objective is to create better care through innovative solutions that gather technology, connectivity and information in order to improve the patient’s quality of life at lower healthcare costs. 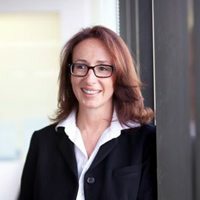 Dr. Sharon is a physician and entrepreneur with extensive experience in both clinical and commercial product development for startups in health tech, biotech, and medical devices. 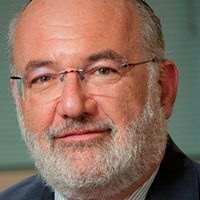 As the former Medical Director for Merck Israel, Ofer founded a big data research collaboration between the pharmaceutical industry and a large payer. Ofer‘s main fields of interest include development of change detection algorithms for medical use and the development of patient engagement strategies. Dr. Sharon serves on the boards of several companies and mentors several healthcare startups in Israel. I am managing a social entrepreneurship program within the CSR department of Renault since january 2011 after 23 years at Michelin and then Renault where I had various management responsabilities in marketing and sales, both in France and abroad. With a reduced team working transversally we are developping a social business program offering to vulnerable people some innovating mobility solutions to keep or to get a job : we have built a network of social garages with the Renault dealership network, we have created an impact investing fund (Renault Mobiliz Invest) and we have initiated a social business project in India. As of today more than 400 people are collaborating in Renault to roll out Mobiliz. Having spent the bulk of his career with AXA François Robinet has extensive experience in the areas of risk management, asset management and life insurance. 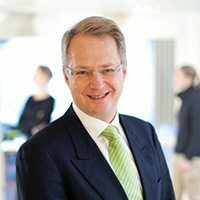 He served as Chief Executive Officer of Global Investment Management firm AXA Rosenberg and as Chief Risk Officer for the AXA Group. 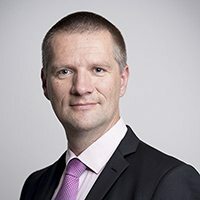 He later joined the AXA NORCEE Region as their Regional Chief Investment Officer and Vice-President of the Management Committee of AXA Bank Europe. 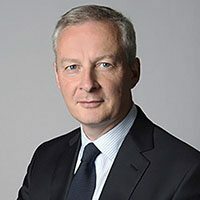 In 2012 François was appointed Managing Director of AXA Life Invest, a company specialised in the design, manufacture and distribution of innovative retirement solutions known as unit-linked guarantees. 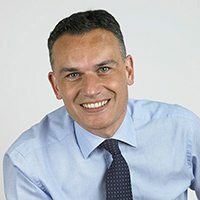 In addition to this role, Francois was appointed in February 2015 Managing Partner of AXA Strategic Ventures (ASV), a 230m€ venture capital fund dedicated to emerging strategic innovations relevant to insurance, asset management, financial technology. 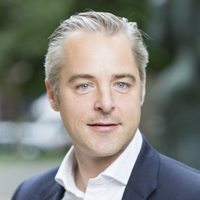 Member of the Board of Directors of a number of AXA companies and of Microcred (a company specializing in microcredit), Francois is also a member of FTV Capital’s strategic committee is San Francisco. François has obtained Masters Degrees from Stanford University and from the Ecole Nationale de la Statistique et d’Administration Economique and holds a PhD from the Centre des Hautes Etudes d’Assurance (CHEA).He is also an actuary, having qualified at the Institut des Actuaires Français and the Centre des Hautes Etudes d’Assurance. Albert Asseraf, 55, who holds a Master’s degree in Information Science and Technology, began his career in 1985 with Comecon, and outdoor advertising consultancy firm. He then moved to Carat Comecon Affichage where he was appointed Director of Research & Tools in 1990. In 1993, he became General Manager of Carat Expert Affichage. 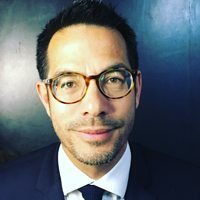 From 2001 to 2004, he served as General Manger of Carat Expert Affichage et Medias Locaux and General Manager of Carat Local. 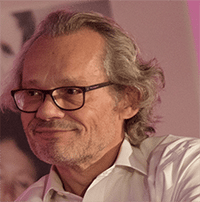 From 2004 to 2016 Albert Asseraf held the position of Executive Vice-President, Strategy, Research & Marketing of JCDecaux France. 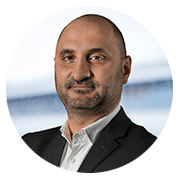 In 2017, Albert Asseraf was appointed Executive Vice-President of a newly created division in charge of Strategy, Data and User Innovation. 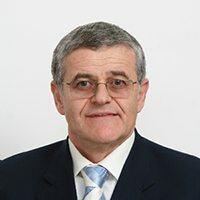 Since April 2010, Albert Asseraf is an Associate Professor in the Marketing, Advertising and Communications Department of the CELSA School of information and communication science. Albert Asseraf is a member of the French Executive Committee and the French Management Committee. Laure Reinhart (61 years old, married, three children) got a PhD degree in applied Mathematics in 1980. 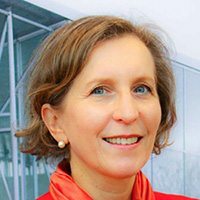 She spent 20 years at INRIA, where she was first researcher in scientific computing, then in charge with Technology transfer and industrial liaison program and Managing Director of the main Research Center near Paris. 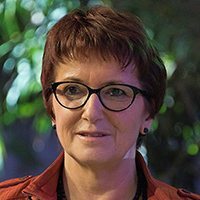 She joined Thales group in 1999, where she was first the department head of the software research lab. She takes the operational management of the research and development activities of the corporate lab in Orsay (450 people) near Paris. Then she joined the headquarters of Thales Group, where she took the responsibility for technological cooperation in France for the whole group Thales. 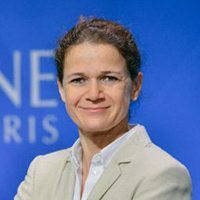 She developed the policy of partnership with research teams both in the public domain (CNRS, CEA, INRIA, Universities, Research Centers) and in the private sector (especially with Alcatel) and coordinated Thales participation in the Competitiveness Clusters. She was also in charge of technical communication within the Thales Group. 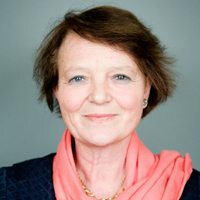 From July 2006 to October 2008, she was Director of the Strategy within the General Directorate for Research and Innovation at the Ministry of Research and Higher Education. She was in charge with foresight and strategic analysis of the French research and development system. She managed key tasks such as transverse steering groups, scientific employment, European affairs, diffusion of the scientific culture, and the funding program for very large infrastructure and research facilities. 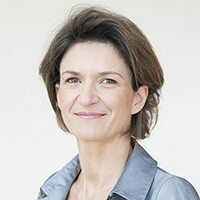 In October 2008, she joined OSEO as Deputy General Director in charge of innovation and in 2013 Bpifrance as Vice President of Partnerships for Innovation. 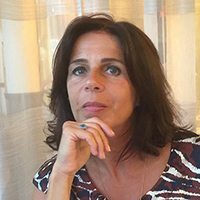 In 2016, Laure Reinhart has been in charge with Taftie Chairmanship. The meetings organized for the French presidency gave the opportunity to share Bpifrance vision on Innovation in all its forms, to promote ideas about European Venture Capital and Scale up, and share the various financial instrument to finance and support innovative companies in Europe. 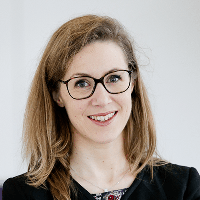 Laure Reinhart is member of the Board of INPI (French Intellectual Property Body), Mines Paristech, Paris-Saclay University and more recently CETIM. “Ile de Science” with groups 25 higher education institutions and public and private research institutions around the Plateau de Saclay, near Paris. Charlotte & Joy both studied in Dauphine. 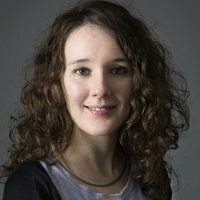 Charlotte specialized in communication with a masters at Dauphine and workd for 4 years in the media industry at Starcom, an agency from Publicis Group. Joy specialized in marketing with a masters at ESCP. She spent 4 years in London working first for Seb and then at Cartier before heading back in France to launch Cook Angels. Cook Angels is a food delivery service who prepares, doses and chopps all the ingredients. Our misison is to make cooking the easiest and nicest way to eat : faster than ordering ready-to-eat meals and much healthier! Cook Angels works on a weekly subscription programm and delivers in all of France. Xavier Facélina is the CEO and co-founder of Seclab company. Self-taught entrepreneur, inventor of 3 patents, he is a cybersecurity expert. Passionate programmer in IT security since he was a child, founder of 3 cybersecurity companies, he has developped a deep understanding of networks and systems vulnerability faced with cyber threats. Seclab has been founded in 2011 in Montpellier (France) by three cybersecurity experts, from the observation that software security is inadequate for critical systems. Seclab has developped solutions, unique in the world, based on an in-depth defense approach implemented in electronics that protects against sophisticated cyber attacks by design. The solutions offer unique levels of security while facilitating their integration into existing and future systems. They address information exchange between two isolated systems and end-point protection against sophisticated USB threats, such as BadUSB. In 2015, Edev (100 % EDF subsidiary) has invested in Seclab, followed in 2016 by Starquest. Among Seclab references are EDF, SNCF, Airbus and CEA. The products have been certified by the Anssi (CSPN). 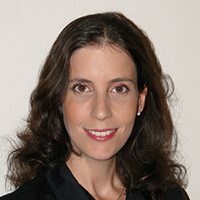 E. Mme Aliza Bin-Noun a fait ses études supérieures à l’Université Hébraïque de Jérusalem où elle a obtenu une licence de Culture et Littérature française et une licence de Relations internationales entre 1981 et 1984, ainsi qu’un master d’études africaines en 1986. Elle entre ensuite au Ministère israélien des Affaires étrangères en qualité de Cadet au Département de Formation politique de 1986 à 1988. 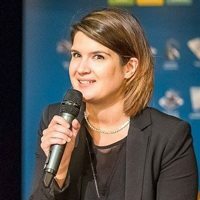 De 1988 à 1989, elle est Deuxième Secrétaire aux Affaires politiques à la Division économique, avant d’être nommée Deuxième Secrétaire aux Affaires politiques, économiques et culturelles à l’Ambassade d’Israël à Mbabane, au Swaziland, de 1989 à 1993. De 1993 à 1995, elle occupe le poste de Conseillère à la Division du Contrôle des Armes au Ministère israélien des Affaires étrangères. 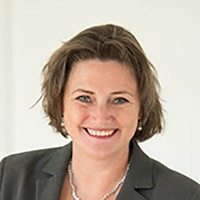 Elle travaille de 1995 à 1999 à l’Ambassade d’Israël à Copenhague comme Conseillère aux Affaires politiques. 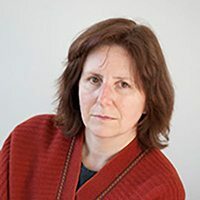 De retour à Jérusalem, elle occupe successivement les postes de Sous-Directeur de la Division des Organisations internationales de 1999 à 2000, puis, auprès du cabinet du Directeur Général du Ministère israélien des Affaires étrangères, ceux de Conseillère aux Affaires politiques au Bureau de coordination de 2000-2001 et de Directeur du Département de coordination de 2001 à 2006. 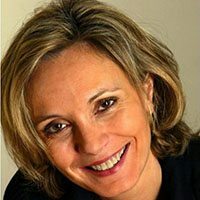 De 2006 à 2007, elle est Chef du Bureau des Affaires internationales au Centre pour la Recherche politique. 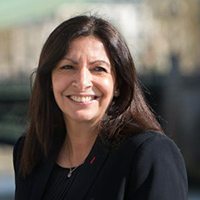 De 2007 à 2011, elle est nommée Ambassadeur d’Israël en Hongrie, avant d’assumer les fonctions de Chef du Bureau politique du Ministre israélien des Affaires étrangères en 2012. Depuis 2015, S. E. Mme Aliza Bin-Noun occupe le poste d’Ambassadeur d’Israël en France et à Monaco. lnVivo has a strong desire to help French agriculture and agricultural cooperation to regain their rightful place in the global food value chain, in respect of the planet and the human population. Leading French agricultural cooperative group, InVivo is organized around four fields of expertise: Agriculture, Animal Nutrition and Health, Retail and Wine. InVivo Invest is the corporate venture capital of InVivo Group for early stage startup in #foodtech , #agtech & #winetech. Previously, from 2014 to 2016, he was Vice President Strategy & Marketing of the Cybersecurity Business Line. 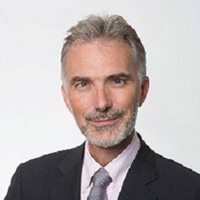 Previously, Jean-Marie Letort has been involved in strategy and management consulting for 15 years in different consulting companies like PwC, Greenwich Consulting and then EY, where he was Senior Partner in charge of Telecom & Media for the France / Benelux region. 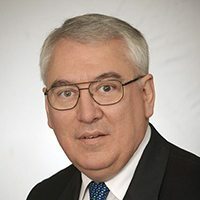 Born on August 2nd 1952, after following accounting and business studies, Jean-Claude GIROT began his career at the Finance department of Chrysler Europe. 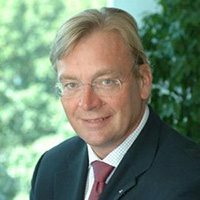 In 1981 he started his long business career first at Volvo France and, from 1986, at Renault Trucks (Volvo Group since 2001). 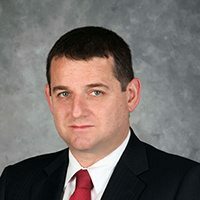 He was Director of External Relations at Renault Trucks from 2010 to 2014 when he became the Director of Public Affairs of the Volvo Group France until March 31 2016. Jean-Claude GIROT is the President of the AFGNV (the French non-profit organization of natural gas for vehicles). 7 th Dan Kendo, former Captain of the French national team, then coach for the French teams, he has won the European Champion title 6 times and the French Champion title 9 times. On 1st june 2016, The Organizing Committee of the Shows (the Paris Motor Show, the Motorcycle Show, and the Cycle Show) announced the appointment of Jean-Claude GIROT as Executive Manager of the Paris Motor Show. The Paris Motor Show will benefit from Jean-Claude GIROT’s great knowledge of the automobile industry. A member of the Organizing Committee since 2009, he knows the event like the back of his hand and has already worked with the organizing team. 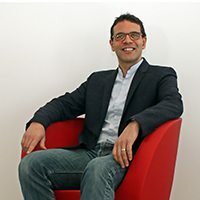 Bruno Zerbib has joined Altice as Group Chief Technology Officer. Bruno is leading Altice’s global technology and infrastructure journey. 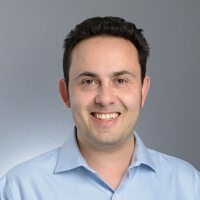 Bruno Zerbib joined us from Hewlett Packard Enterprise where he held the position of Vice President Product Management, Cloud BU, and before that he was Senior Director Product Management, Cloud Services, for Yahoo. 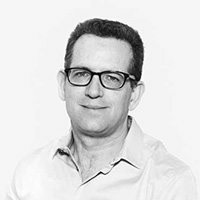 Bruno Zerbib is a highly accomplished leader with an outstanding 17-year track record in Product Management, Product Marketing, Corporate Strategy and Strategic Alliances. Bruno has managed portfolios and associated roadmaps, development and operations for a wide range of products including telecommunication, consumer, B2B, SaaS, IaaS, infrastructure, dedicated/hardware, and cloud. Founded by telecom entrepreneur, Patrick Drahi, Altice is a multinational cable, fiber, telecommunications, contents and media company with presence in four regions – Western Europe (comprising France, Belgium, Luxembourg, Portugal and Switzerland), the United States, Israel, and the Overseas Territories (currently comprising the French Caribbean, the Indian Ocean regions and the Dominican Republic). Altice provides very high speed based services (high quality pay television, fast broadband Internet and fixed line telephony) and, in certain countries, mobile telephony services to residential and corporate customers. Altice is also active in the media space with a portfolio of channels (News, Sports, Lifestyle…) as well as a provider of Premium contents on nonlinear platforms; it also produces its own original contents (Series, Movies…). 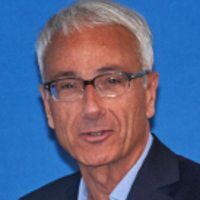 Pierre-Alexandre Teulié est Directeur Général de la Communication Externe, des Affaires Publiques, du e-Business et du Développement Durable de Nestlé France. Il assure aussi le secrétariat général de la Fondation Nestlé France. 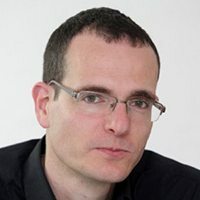 Agé de 47 ans, Pierre-Alexandre Teulié est diplômé de l’Institut d’Etudes Politiques de Paris, ancien élève de l’ENA et a suivi un executive education de la Harvard Kennedy School. Après huit années passées au sein de la direction financière de Procter & Gamble, il intègre l’ENA en 2000 avant de rejoindre le corps préfectoral. 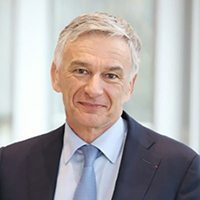 Fin 2004, il entre au comité de direction de Nestlé Waters France comme Directeur des Affaires Extérieures. 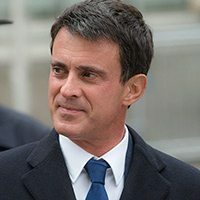 Appelé en 2007 au Ministère de l’Economie et des Finances comme Conseiller auprès du Ministre, il y supervise les politiques de l’Industrie et de l’Emploi en France, ainsi que les Participations de l’Etat. 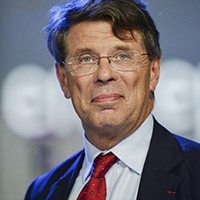 Secrétaire Général du groupe Carrefour et membre de son comité exécutif de 2009 à 2012, il a notamment la charge des Affaires Publiques du groupe, de la Direction de la Qualité et du Développement Durable et dirige la Fondation Carrefour. En 2012, il fonde Sustain–Able, entreprise de conseil en stratégie et développement durable. En 2014, il lance GOV, une application participative destinée à mesurer l’opinion publique et recueillir ses propositions sur un grand nombre de thématiques politiques, sociétales ou commerciales. Créé il y a plus de 150 ans par Henri Nestlé, Nestlé est aujourd’hui le premier groupe alimentaire mondial spécialisé dans la Nutrition, Santé, Bien-être. Au quotidien, le Groupe Nestlé œuvre à l’amélioration de la qualité de vie en contribuant à un avenir plus sain. A travers ce dessein ambitieux, Nestlé entend offrir les meilleurs produits aux consommateurs, tout en veillant à protéger l’environnement et en contribuant au développement des territoires les unités de production sont implantées. Dirigé par Mark Schneider, le Groupe Nestlé est aujourd’hui présent dans 191 pays. Nestlé commercialise plus de 10 000 types de produits fabriqués dans près de 442 sites industriels répartis dans plus de 86 pays, dont 24 usines et 5 centres de recherche en France. Pierre-Alexandre Teulié is the Head of Corporate Communications, Public Affairs, e-Business and Environment Politic of Nestlé France. He is also the Nestlé’s Foundation Secretary-General. Pierre-Alexandre Teulié is 47 years old. He is graduated from the renowned Institut d’Etudes Politiques de Paris. He is also a former student of ENA (Ecole Normale de l’Administration) and has followed the executive education program at the Harvard Kennedy School. After spending 8 years at Procter&Gamble’s Financial Department, he started studying in ENA in 2000. Then he joined the prefectural corps. At the end of 2004 he started to work at the steering committee of Nestlé Waters France as a Director of External Affairs. In 2007, he has been called by the Ministry of Finance and Economy as a consultant for the minister. He was in charge of Industrial and Employment Politics in France. He also has been the Carrefour Secretary-General of and member of Carrefour Executive Committee between 2009 and 2012. During this period, he was in charge of Carrefour’s Public Affairs, Carrefour’s Environment Politic, and Carrefour’s Quality department. He was also the Chair of Carrefour’s Foundation. In 2012, he has founded Sustain-Able, a company that provides consulting in strategy and sustainable development. In 2014, he launched GOV, a participative application that allows to measure the public opinion, gather proposals in a large number of political, commercial and societal topics. Nestlé was founded by Henri Nestlé over 150 years ago. Today the company is the world’s leading food company specializing in Nutrition, Health and Wellness. The Nestlé Group strives to enhance quality of life and contribute to a healthier future. By this ambitious plan Nestlé intends to offer the best products to the consumers, while protecting the environment and contributing to the development of the territories the production units are established. The Groupe is headed by Mark Schneider and is present in 191 countries. Nestlé markets more than 10,000 types of products manufactured in nearly 442 industrial sites in more than 86 countries. 24 factories and 5 research centers are etablished in France. Managing Partner of La Maison and in charge of the relationship with investors and partners. 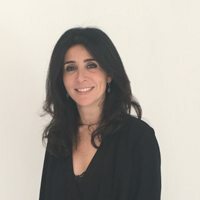 After a Master Degree in Finance, Isabelle Azoulai joined Credit Suisse France and in 2009 she became Director in the department UHNWI (Ultra High Net Worth Individuals). 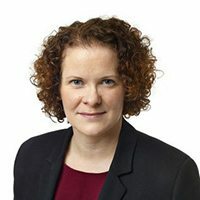 Her mission was mainly to advise clients in connection with the management of their portfolio of unlisted companies. Isabelle Amiel Azoulai then took part in the creation of La Maison as an Associate alongside Michel Cicurel and Marc Levy. As part of her work, she participated in La Maison’s fundraising and implemented the co-investment strategy with partner funds enabling 22 investments to be made. La Maison, is a club of highly renowned investors, led by Michel Cicurel, a very influential personality in economy and investment in France, Western Europe and Israel. 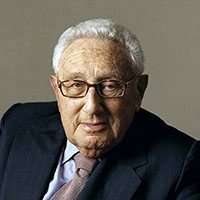 Together, their experiences represent a unique source of deal flow and relevant judgment, as well as an exclusive influence and financial power. 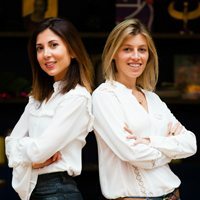 La Maison’s DNA, based on the prestige of its shareholding, is to co-invest with very exclusive and highly qualified private equity teams with tremendous track record : Partech (USA – France), Agilitas (Europe), Montefiore (France), Cathay Capital (France – China), Qumra (Israel), Pitango (Israel), Magma (Israel), JVP (Israel), etc. Since its creation, La Maison has already made thirty investments totaling € 120 million of commitments. Jean-Pierre Trevisani is an innovative digital leader in healthcare known for his strategic and business minded vision. 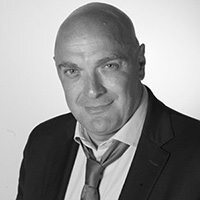 Previously, Jean-Pierre worked as European Marketing Information Manager for Terumo, a global Medical Device Manufacturer. 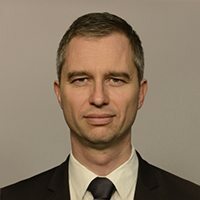 He is currently Director of information Systems for France & Switzerland at Teva Pharmaceuticals and is the IT Business Partner for Teva Medical Affairs in Europe. 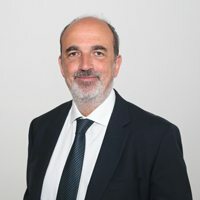 He was elected President of the E-commerce Group at the SNITEM for a number of years and is currently Vice-President of the CEDHYS, the French Life Sciences CIO Association. Mr. Trevisani obtained “High Distinction” degrees in Electrical Engineering and Computer Science from WPI, (Worcester Polytechnic Institute, Massachusetts). His creativity and passion pushed him to pursue musical and vocal studies at the New England Conservatory, then at the Boston University Opera Institute, before joining the Centre de Formation Lyrique de l’Opéra National de Paris. Mr. Trevisani, a Tenor, was a professional Opera singer for 10 years performing at major venues across the world and appearing in a number of recordings and movies. He is the winner of the 1995 New England Region New York Metropolitan Opera National Council Auditions and a finalist of both the Caruso International Tenor Competition and the Alfredo Kraus International Voice Competition. 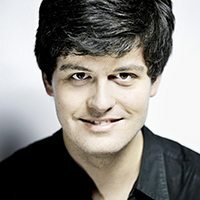 In 1999, he is awarded the coveted « Best Young Singer at the Opéra National de Paris » and in 2004 was recognized by his Alma Mater WPI with the “Young Alumni Award for Professional Achievement”. 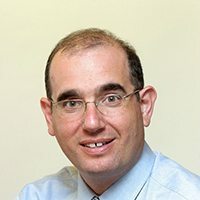 Thanks to his extensive the Life Sciences, IT and his open creative approach, Mr Trevisani is frequently invited to speak at conferences and events. Yves Benchimol is a young, energetic entrepreneur and since 2015 the CEO of the growingly successful start-up company Occi. Along with his passion for entrepreneurship and innovative technology, Yves has a variety of technical skills including machine learning, big data, web & mobile development and indoor localization. 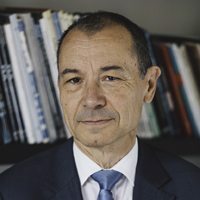 Prior to creating Occi with his partner Louis Millon, Yves attended the prestigious engineering school Ecole Polytechnique in Paris for Applied Mathematics and did a masters in Entrepreneurship & Innovation at university of UC Berkley in California. After receiving his master, Yves worked as a software developer in Palo Alto and developed algorithms for management solutions for the private jet company, Dassault Falcon. Yves is an individual who is fueled by passion, creativity, innovation, and a spirit of teamwork. Occi has created a revolutionary and unique product based on geolocalisation that gives physical stores the same advantage as online platforms. Occi analyzes in-store shopper activity to increase store performance and better interact with customers in real time. The algorithms used are inspired from Big Data technology, hence allowing improvement in customer satisfaction by discreetly interacting with loyal customers in a personalized and relevant way throughout their visit. The technology developed is protected by two patents. The company is currently composed of young and international individuals who studied in leading universities around the world and has worked towards making Occi an exemplary company. Occi has already been awarded several titles including the CMI Innovation 2030 World Competition and CIN Concours innovation numérique and is currently working with some of the largest retail companies including Galleries Lafayette, Auchan and Nestlé. Jérôme Chartier was born on the 14th of November 1966 in Paris. He is a French politician, currently the first vice-president of Ile-de-France and the deputy of the 7th constituency in Val-d’Oise. In December 2015 he was elected first vice president of Ile-de-France and had to resign as mayor. 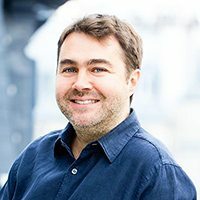 Sebastien is the true enabler of ASV acceleration strategy, and shapes the way all portfolio startups benefit from their partnerships with the fund. 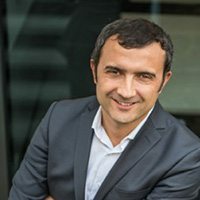 As an international executive with more than 13 years experience in the insurance and brokerage industry in France and abroad (Egypt), he has built a strong expertise in the field, and focused on Communications and Engagement recently at AXA Before joining AXA, he held several Business Development and consulting positions at Allianz and Marsh. Sebastien holds degrees from the Institute of Political Science, Paris Dauphine University and INSEAD Business School. 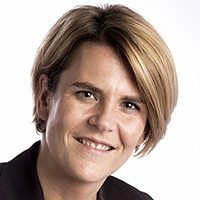 After graduating from Toulouse Business School, Marion Baroux has been working in the aerospace sector for 5 years in business development position. 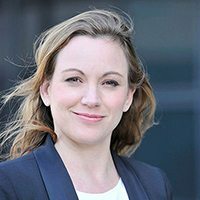 She is now Sales Manager and Key account Manager for the European market at Delair Tech – a fast-growing company to develop the use of civilian UAV (Unmanned Aircraft Vehicle). Delair-Tech is a world leader in commercial drones and their industrial applications. Specialized in drone manufacturing and aerial data processing, the company offers professional end-to-end solutions, from data acquisition to operational analysis. Delair-Tech is represented in more than 80 countries and employs more than 100 people around the world, offering solutions for various industrial sectors: agriculture, geospatial, transportation, power, utilities, oil, gas, mines, and security & defense. Taly is an experienced manager of business units and divisions in international companies. Taly has extensive experience in mergers and acquisitions and in expanding product lines using innovative strategies and brand managing. Sara Hekal is an international, dynamic, intelligent. young women and the Brand Marketing Manager of Occi. She attended leading schools including Philips Exeter and International school of Nice before studying in the prestigious Glion Institute of Higher Education for her Bachelors in Luxury Brand Management, specializing in retail. 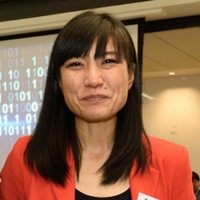 She loves the energetic start-up environment and is fascinated by ioT. She has worked for several companies including CMX Event Management and MyBrain Technologies as a project manager and marketing manager and has brought a large number of investors and journalists to the scene. She is innovative and determined and aims to one day empower women. 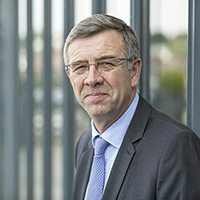 Philippe Dabi, médecin-biologiste, Président Directeur Général du groupe Bioclinic, un acteur majeur du diagnostic en France.Après une carrière hospitalière dans le domaine de l’aide à la procréation, Philippe Dabi fonde Bioclinic en 1995. 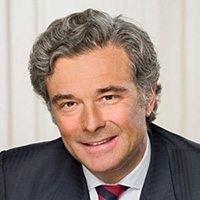 Dr. Philippe Dabi (MD) is the Chairman and CEO of the Bioclinic group, a prominent French healthcare diagnostics company.Following his hospital career in the field of medically assisted reproduction, Dr. Dabi founded Bioclinic in 1995. Bioclinic is among the French leading providers of medical diagnostic testing, information and services to patients and doctors in France.We operate a network of 50 laboratories, providing routine and specialized diagnostics to more than 1 million patients each year. Our services range from day to day blood tests to state-of-the-art microbiology researches. We serve patients in our city laboratories, at home, or through our numerous partnerships with hospitals, medical centers, retirement homes and administrations. Our mission is to bring the excellence of modern diagnostics to all, on a day-to-day basis. 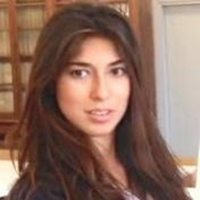 Nora Diep-Achor graduated from Sciences Po – Aix en Provence and ESCP. With 15 years experience as a management consultant, Nora is nowadays Life Sciences Leader at onepoint. Her international background (Thailand, Kenya, 3 years spent in Japan, etc. ), along with the many missions dedicated to the R&D performance, to the transformation of Life Sciences organisations, deepened her knowledge and understanding of the key elements for open innovation and innovation projects. Collective intelligence, innovation, digital transformation, data governance and regulatory conformity are the main expertise fields of the Life Sciences team at onepoint. 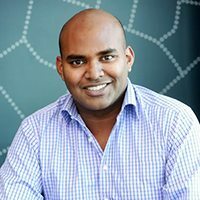 Jambu Palaniappan is the Regional General Manager for Uber in the Middle East, Africa and Central Eastern Europe. In this role, Jambu oversees market strategy, expansion and operations for over 25 cities in the region. He joined Uber in the summer of 2012 and has been a key part of Uber’s growth into more than 400 cities across 70+ countries worldwide. Jambu grew up in Silicon Valley and studied Public Policy and Economics at Vanderbilt University. 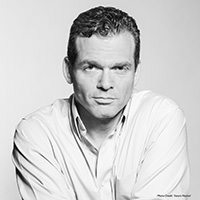 Nadav Zafrir is the co-founder and CEO of Team8, Israel’s leading cybersecurity foundry. 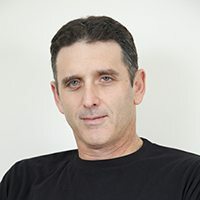 Prior to founding Team8, Nadav was the founder of the Israel Forces’ Cyber Command, and the Commander of “Unit 8200”- an elite military technology unit that has become an incubator for Israel’s renowned high-tech sector. Team8 leverages its collective cybersecurity expertise and vast international network to identify disruptive technologies to be developed into innovative, category-leading companies that challenge the biggest problems in cybersecurity. Team8 is backed by Microsoft, Cisco, Citigroup, Qualcomm, AT&T, Accenture, Nokia, Temasek, Mitsui, Bessemer Venture Partners, Eric Schmidt’s Innovation Endeavors and Marker LLC. Né le 27 mai 1950; Marié, deux enfants, Rachel et David. rencontre de Jerome Nouzarede . – membre du board de la fondation &quot;The Eva and Edward Underwood Charitable Foundation&quot;, distribuant des bourses aux élèves et étudiants nécessiteux . 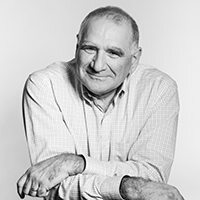 Harel is a seasoned executive with over 35 years of management leadership in the IT industry and an extensive investment and exit record. He is a co-founder of the Viola Group; one of the original co-founders of Carmel Ventures and the founder of Viola Growth, where he serves as general partner. 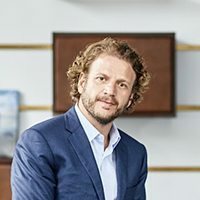 Harel serves as an active board member of several leading Israeli technology companies, where he leverages an extensive global network of partners, investors, entrepreneurs and executives in helping these companies achieve their objectives and build value. 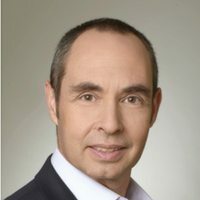 As the former CEO, President & Chairman of Tecnomatix (NASDAQ: TCNO), a leading provider of complete enterprise software solutions for process management and collaboration, Harel led the company for over eight years, during which the company grew to $100 million in revenues and more than 650 employees. In 2005, he led the successful sale of Tecnomatix to UGS, a global leader in the Product Lifecycle Management, for $228 million. 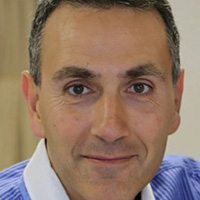 He is a former Chairman of ECtel (NASDAQ: ECTX) and former Chairman of Lumenis (NASDAQ: LUME), Israel’s largest medical device company, where he has led a $150 million investment and led the company’s turnaround that resulted in the sale of the company to XIO Group for $510 million in June 2015. Mr. Yahal Zilka co-founded Magma Venture Partners. 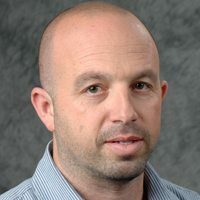 Since 1999, Yahal served as co-Managing Partner of Magma, and positioned Magma as a major player in the New Media space. Prior to Magma, Yahal was part of the team at VocalTec Communications, a company that pioneered VOIP. Yahal led the company from seed to its public offering on NASDAQ (NASDAQ: CALL), and developed important strategic relations with vendors and carriers. Yahal has been serving as a director at IATI since 1999. Yahal brings many years of experience as an entrepreneur, mentor and executive. At Magma, Yahal provides strong financial, operational, and hands-on management experience, as well as strategic relationships with industry leaders for Magma’s portfolio. 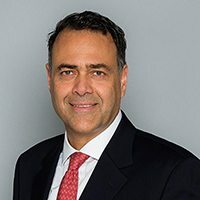 In addition to his knowledge of the communications and technology sectors, Yahal has worked closely with both the investment banking and venture capital communities. Dr. Raz Itzhaki Tamir is the founder and CEO of NSLComm. Before founding the company he managed the Nano-Satellite Department at Israel Aerospace Industries for a decade. 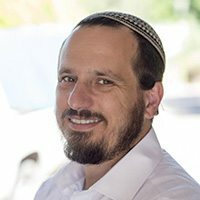 Raz has a PhDi in Computer Science from the Hebrew University and an MsC in Aerospace form the Technion University in Israel. Raz and his team have designed and built six satellites until now, two of which were launched to space two month ago. GADI TIROSH, MANAGING PARTNER, JVP (JERUSALEM). Gadi Tirosh, Managing Partner, JVP (Jerusalem). 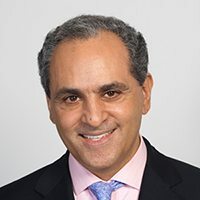 With his strong background in software and internet based R&D organizations, Gadi was Chairman of the Board of CyberArk Software (NASDAQ: CYBR) that went public on Nasdaq in September 2014 and was the leading JVP partner in the monetization of JVP’s holdings at a valuation of approximately $1.5 billion. 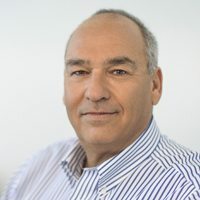 Gadi serves as Chairman of the Board of AnyClip Media, as well as on the board of directors of ThetaRay, Hexatier, ComQi, Upsolver, Morphisec, Coro.Net, Uponit and Gamefly. Gadi’s experience gives him strong domain expertise in both the consumer infrastructure world and service provider needs. 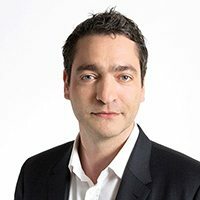 Before joining JVP, Gadi was Corporate VP of Product Marketing and member of the executive committee for NDS (acquired by Cisco for $5bn), a leader in digital pay-TV systems, supporting some of the largest digital broadcast platforms such as DIRECTV, BSkyB, Canal Digital and more. At NDS, Gadi established the business of digital interactive TV in the late 90s, catering to the likes of Sky Sports, MTV, Discovery, QVC and other leading TV channels. Gadi lead the NDS international marketing team responsible for defining the product scope and roadmap for NDS and established products such as conditional access for secure broadcast, middleware for digital set-tops and integrated PVR solutions. 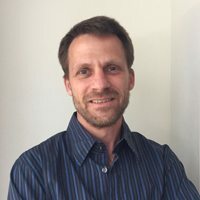 Prior to NDS, Gadi held a variety of positions in software and Internet-based R&D organizations, including Director of Product Marketing at ServiceSoft Corp. Gadi holds a BS in Computer Science and Mathematics as well as an Executive MBA from the Hebrew University of Jerusalem. Attorney Sharon Gazit is the Head of the Corporate and Technology Department and is a member of the firm’s Executive Committee. Attorney Gazit has been recognized as a leading partner in the Israeli hi-tech ecosystem since its early days, and frequently advises technology companies from their establishment and through their operations as mature and active companies. In addition, Attorney Gazit advises venture capital, private equity and corporate funds, as well as companies and investors on investment and M&A transactions. 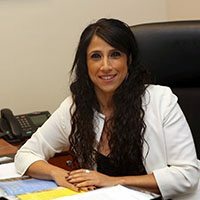 Attorney Gazit’s many years of experience provide her with a unique outlook, a deep understanding of the client’s business requirements, and an ability to settle both routine and complex transactions. Attorney Gazit is active in the broad spectrum of the technology arena and advises clients in the fields of cyber security, AI, AR/VR, automotive, fin-tech, as well as digital health, pharmaceuticals and life sciences. Attorney Gazit possesses significant expertise relating to transactions involving intellectual property licensing, and has represented companies in this field technology, TTO’s, incubators and research centers. Attorney Gazit possesses widespread working relations with the relevant regulatory entities in the field. Attorney Gazit serves as vice-chair of the Healthcare and Life Sciences Committee of the International Bar Association and also advises the IATI – Israel Advanced Technology Industries, Israel’s umbrella organization of the high-tech and life sciences industries. 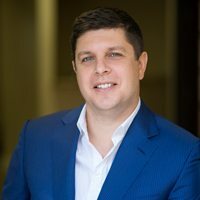 David LAYANI, born in 1979, is the founding president of onepoint. Created in 2002, his group now boasts annual revenues of 170 million euros, and employs more than 1,800 people. David LAYANI understood early on that the digital transformation was going to be a global movement that would not only require the deployment of new information systems for businesses, but also a rethinking of their organizational structure, working methods and even strategies. Onepoint is not only a player specializing in information system management consultancy in all activity sectors for leading banking, financial, insurance, service, telecommunication, public sector, energy, industrial and distribution companies and institutions; it has become one of the few companies to be able to support such structures through all stages of their digitization process while investing in innovation and cyber-security. The group’s development projections, once materialized, will position the company as a leader of the European digital transformation market within the next five years. So far, David LAYANI has developed his group in Canada, the U.S.A., China, Tunisia, and Europe. He still maintains the majority of his workforce in France, thereby proving that the “Think globally, act locally” motto also applies to the new economy. Not coming from an establishment background, he soon showed a preference for business as opposed to more academic institutions. This brought him to embark on a professional career at a very early age. After working as an employee between the ages of 18 to 22, he became interested in a variety of creative projects in several countries, and founded his own company, onepoint, at 22. – A meaningful and successful blend of cultures, professional expertise and generations, including the emerging millennial generation. He is deeply involved in the new thinking in matters of progress, organizations and entrepreneurial success factors. David LAYANI advocates for public policies that are better suited to business realities and more supportive of young entrepreneurs. Finally, and most importantly, he is the proud father of two little girls, aged 6 and 5. Nadav grew up within the food industry. As a third generation in the industry, he knows the business both inside and outside. Prior to co-founding Foodlab Capital, Nadav has established a number of organizations specializing in the food marketing and distribution industries: Vita chef and FoodLog among others. In addition, Nadav co-founded Foodlab, a company focused on developing new products for major food players in the food industry both in Israel and in the U.S. Nadav is also a partner at Liliyot, an Israeli restaurant with a strong social agenda, employing at-risk teenagers after training them in several skills. 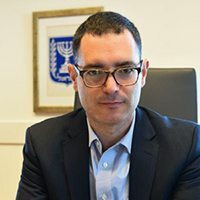 Nadav holds a BA in economics and political science from Tel-Aviv University and an International Executive MBA from Kellogg-Recanati School of Management. He is also a proud father of 3 adorable girls and a wonderful cook! Mr. David Shostak is the founder and CEO of T-Tronic. 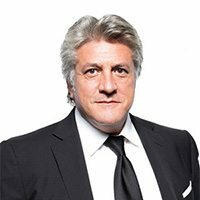 He is a serial entrepreneur with enormous professional integrity and extensive international experience. David is also engaged in implementing other successful projects as “Vigoda.ru”, “Socialist Media”, “Solomoto” etc. 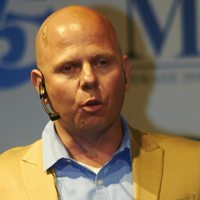 David demonstrates strong expertise in the digital-sphere, modern media services, advertising techniques, launching innovative products worldwide. Born is USSR and repatriated to Israel in 1990. Served in Israel Army. David studied at Tel Aviv University and Stanford University. He is a former Advisor to President of “Euroset” (2 Bln.USD Company) and TED-speaker.